Br. Leo V. Ryan, C.S.V., died June 22 at the Moorings of Arlington Heights Rehabilitation Center in Arlington Heights, IL. Br. Ryan was born on April 6, 1927 in Waukon, IA, the son of John and Mary (O’Brien) Ryan. He was preceded in death by his parents, his brother, James and one nephew, Daniel Hart. He is survived by his sister, Elizabeth E. Hart of Waukon, IA, one nephew, Gregory (Kathy) Hart of Sioux City, Iowa, his niece, Mrs. Christine (Christopher) Cummings of Sussex, WI and his niece Mrs. Diane (Larry) Wolfe and their children Elizabeth and Ryan Wolfe of Charles City, IA. After graduation from St. Patrick High School in Waukon, IA in 1944, Br. Ryan enrolled as a student at the R.A. Johnston College of Business Administration at Marquette University in Milwaukee, WI. In 1945, he was inducted into the United States Army where he served in a variety of assignments until November, 1946. He then returned to Marquette University earning a B.S. in business administration. He went on to complete graduate studies at DePaul University in Chicago, earning an M.B.A. and then at Saint Louis University School of Commerce and Finance, where he earned a Ph.D. in management and educational administration. He received honorary degrees, awards, and medals from universities and organizations in the United States and Europe. Br. Ryan was a prolific author, publishing numerous books, articles and lectures in the area of business and business ethics, with a concentration on the economy of Poland. Br. Ryan pronounced his first vows as a member of the Clerics of St. Viator on March 2, 1950 and perpetual vows on Feb. 2, 1955. He was assigned as teacher and business manager at Cathedral Boys High School, Springfield, IL, (1950-1951) and at Spalding Institute, Peoria, IL, (1952-1954). 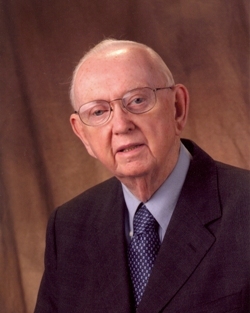 He then was assigned to Saint Louis University, as teaching assistant in management and marketing (1954-1957). During his years at Marquette University, (1957-1965), he served as Assistant Professor, director of the evening division of the College of Business Administration, Assistant Dean, Director of Continuing Education, coordinator of all university evening divisions and summer sessions, Director of Peace Corps activities for the university and Professor of Industrial Management. In July 1965, he was named Chairman of the Department of Management for the College of Business Administration at Loyola University in Chicago. From January through December, 1966, he served as deputy director and administrative officer for the U. S. Peace Corps in Nigeria-Lagos, Nigeria. In 1967, he served the Viatorian Community as a member of the General Council in Rome and then as Director of Education for the Province of Chicago. 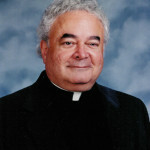 In 1972 he was named as the first President of Saint Viator High School in Arlington Heights, where he served until 1974. He then was appointed as Dean of the College of Business Administration at the University of Notre Dame, (1975-1980), and then as Dean of the College of Commerce and Kellstadt Graduate School of Business at DePaul University, (1980-1988). 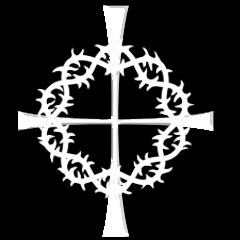 From 1991 – 2001, Br. Ryan lectured at the Helsinki School of Economics and Business Administration in Mikkeli, Finland; the Adam Mickiewicz University and the Poznan University of Economics and Business in Poznan, Poland. In 1999, Br. Ryan moved into the retirement residence at the Viatorian Province Center, 1212 E. Euclid Ave, in Arlington Heights. He once again served his community as Chair of the Querbes Commission for the Province of Chicago from 2001-2009. Br. Ryan requested that his body be donated to science. A memorial Mass was held July 2 at 11 a.m. at Saint Viator High School in Arlington Heights. In lieu of flowers, memorials may be made to the Br. Leo V. Ryan, C.S.V. Scholarship Fund at Saint Viator High School in Arlington Heights, or the Br. Leo V. Ryan, C.S.V. Endowed Scholarship in Management at DePaul University in Chicago.